Pointwise is the choice for CFD (computational fluid dynamics) mesh generation, covering all of preprocessing from geometry model import to flow solver export. Structured, unstructured, and hybrid meshing techniques are available including the highly automated T-Rex (anisotropic tetrahedral extrusion) technique for boundary layer resolved hybrid meshes. Development of Gridgen began in 1984 and the software had its first, wide release in 1990. In 1994, Gridgen was the basis for the founding of Pointwise, Inc. with a goal of bringing advanced mesh generation to a broader audience. Gridgen's end-of-life was announced in January 2016 went into effect in September 2016. 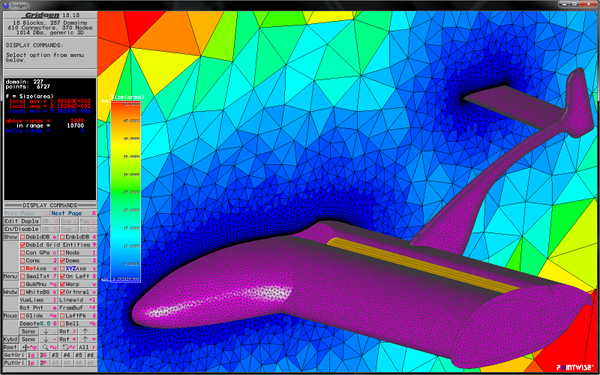 Now is the time for Pointwise to be your choice for CFD meshing. Request a free trial license today.